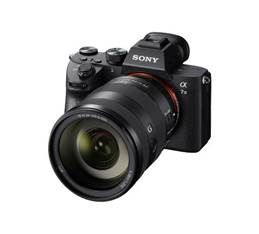 The new Sony a7III is priced at Php 129,999 (net cash) available in all Sony centers and Sony authorized dealers nationwide. 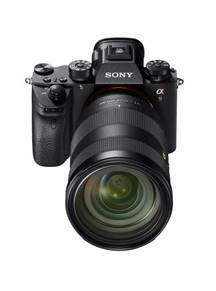 Thanks to an evolutionary leap in image processing power and efficiency, the full-frame a7R III combines a high-resolution 42.4 MP1 back-illuminated full-frame Exmor R CMOS image sensor with impressive shooting speeds at up to 10 fps[vi] with full AF/AE tracking, as well as beautiful image and 4K5 video quality, wide 15-stop2 dynamic range, high sensitivity with noise reduction of almost a full stop[vii] and more. With these immense capabilities and a compact, lightweight body, it’s an extremely versatile tool for photographers, videographers, multi-media creators and all other types of professionals that demand reliability, flexibility and versatility. The Sony a7R III is now available in authorized Sony dealers and stores nationwide for PHP 179,999.00. 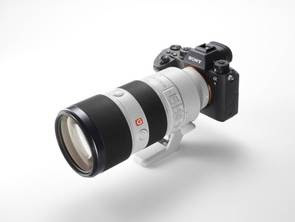 The most technologically advanced, innovative digital camera that Sony has ever created, the new a9 offers a level of imaging performance that is simply unmatched by any camera ever created – mirrorless, SLR or otherwise. The full-frame camera offers many impressive capabilities that are simply not possible with a modern digital SLR camera including high-speed, blackout-free continuous shooting[viii] at up to 20 fps[ix], 60 AF/AE tracking calculations per second,[x] a maximum shutter speed of up to 1/32,000 second[xi] and much more. 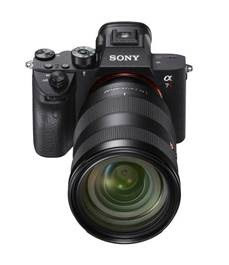 These are made possible thanks to its 35mm full-frame stacked Exmor RS™ CMOS sensor - the world’s first of its kind – which enables data speed processing at up to 20x faster than previous Sony full-frame mirrorless cameras[xii]. This unique sensor is paired with a brand new, upgraded BIONZ X™ processing engine and front-end LSI that maximises overall performance. This industry-leading speed and innovative silent shooting11 is combined with a focusing system that features an incredible 693 phase detection AF points. Covering approximately 93% of the frame, the focusing system ensures that even the fastest moving subjects are reliably captured and tracked across the frame. The Sony a9 is now available in all Sony Centers and Sony authorized dealers nationwide for PHP 239,999. 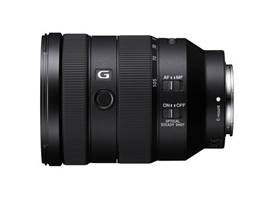 The Sony SEL24105G lens is now available in all Sony Centers and Sony authorized dealers nationwide for PHP 82,990.00. 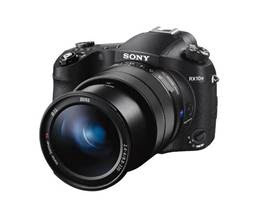 The Sony SEL100400GM is available in all Sony Centers and Sony authorized dealers for PHP 179,000.00. Featuring the world’s fastest[xiv] AF acquisition time of 0.03 seconds[xv] and up to 24fps continuous shooting[xvi] with full AF/AE tracking, 315 phase-detection AF points that rivals those the fastest professional interchangeable lens cameras and an exceptionally versatile ZEISS® Vario-Sonnar T* 24-600mm[xvii] F2.4-F4 Large Aperture High-magnification zoom lens, the new RX10 IV model delivers an unmatched combination of mobility and speed for imaging enthusiasts and professionals looking for the ultimate ‘all-in-one’ solution. 4K[xviii] movie recording with full pixel readout and no pixel binning makes this power house just as relevant to video shooters as stills photographers. The Sony RX10 IV is also available in all Sony Centers and Sony authorized dealers for PHP 99,999 (SRP).